Tonight is the Full Moon in Sagittarius at 10:12 Degrees. 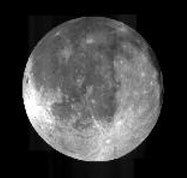 The second Full Moon within the same month is called a Blue Moon, hence the term, “once in a Blue Moon”, as this event happens infrequently. The Full Moon in Sagittarius is good for anything to do with Astrological 9th House concerns, such as Publishing, Travel, Communication, Higher Learning, Astral Travel, etc. I hope you all have a great evening. I sure will! I’m going to perform my first Full Moon magickal ritual on the Moon roof at my new home, Tiphereth House. May Levanel, the Angel of the Moon bless you all. Magickal Note: I wound up doing my Full Moon ritual in Larchmont with my magickal partner. We stood near the reflection of the Moon in a clear pool of water with the rays coming down. Whenever I do a Moon Ritual, I always use my Black Scrying Mirror to capture the lunar light, building the charge so I can use the magickal charge in my Scrying work, whenever I want to converse with Spirits, Angels or other spiritual beings. By the way, tonight’s Full Moon was supposed to be the biggest and brightest of the entire year, as the Moon was quite close to the Earth. Anyway, I’ll post some more info on Scrying Mirrors soon. Feel free to share you experiences from your own Lunar Rituals in the Magickal Forum. I enjoy hearing how you all celebrate the Lunar Phases. Nighty night! My rising sign is Sagittarius (sun Scorpio, Cancer Moon), I can really feel something strange in the air tonight. My Mother is in the hospital right now and my thoughts are going wild. I’m content, and I don’t feel like I should be, because I’m worried.lol I dunno why I felt like telling you that.. Awesome read on the event. Magick is abounding! Thanks for visiting … I’m sorry to hear about your mother. Also, with your placement of the Moon in Cancer, I’m sure you’re very sensitive right now, I know how it is. Sometimes when you know that a situation is out of your control, you can get an odd sense of calmness. It’s the part of Magick that’s the most difficult to understand — that others have their own transformations to go thru, and there’s little we can do to change things at those times. What you can do is change how you perceive the events in your own life. I’m glad you felt that I’m someone you could open your heart to. I’ll keep your mother in my thoughts for healing. Join the forum so others can send her love and light too.